Greetings! Sorry for the lack of a post yesterday! Time completely got away from me over the weekend, and I didn't have anything prepared! 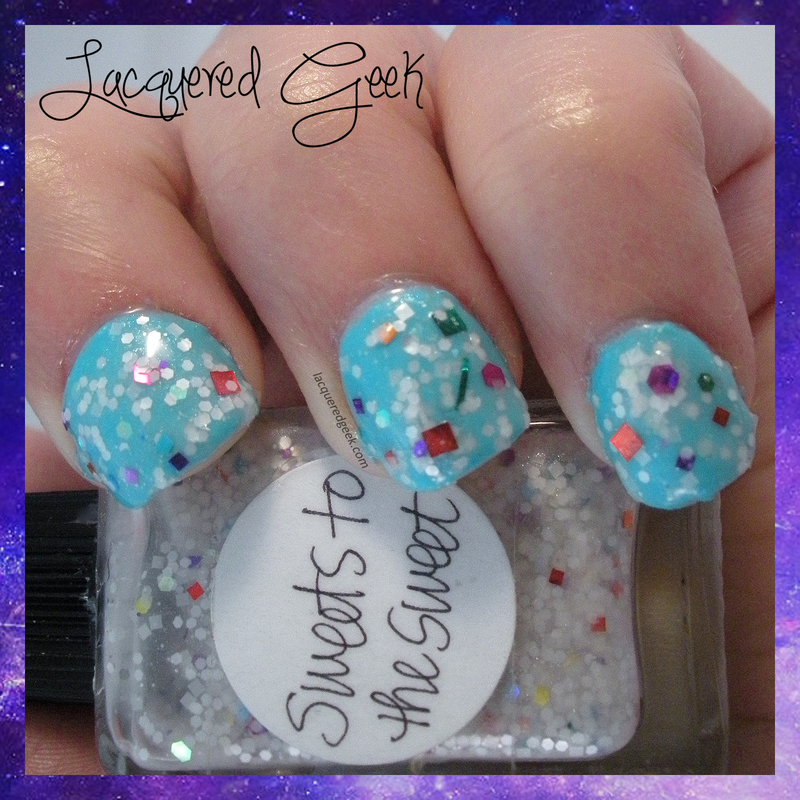 Today, I wanted to share "Sweets to the Sweet"from Lynnderella. 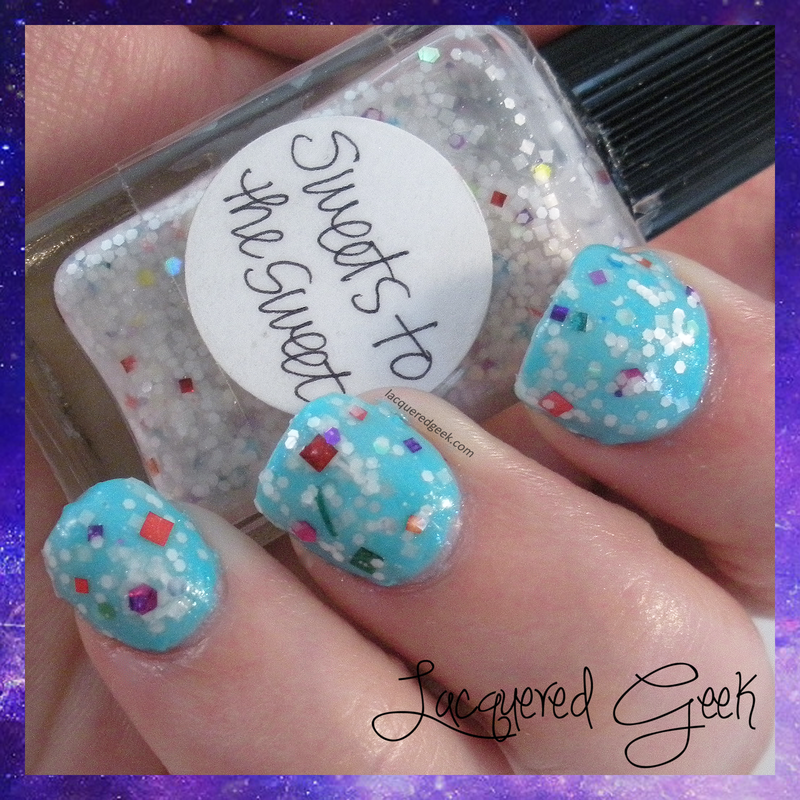 Sweets to the Sweet is a pearl white, green, red, purple, blue and yellow glitters. It's perfect when you want something delicate and not too overly glittery. I dabbed one coat over undies. I had to do a little glitter placement with the colored glitters. Sweets to the Sweet can be purchased for $18 from her Store Envy shop. This combination would be great for the Spring, but I think it would work well in the Fall over a darker shade. Or just be like me, not care if it's seasonal, and just wear what you want! wow, manicure is so cute ! nice combo ;) love it !